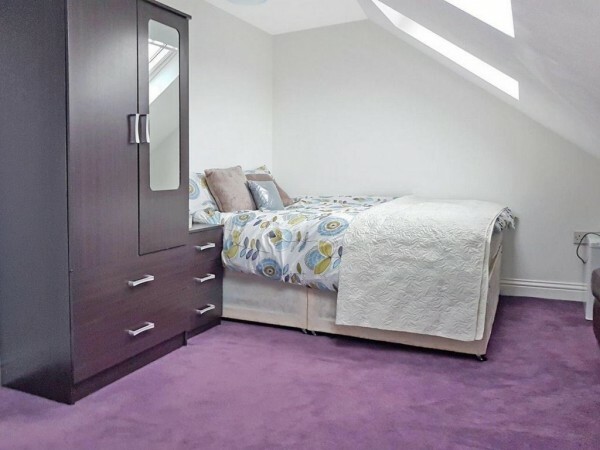 A beautiful double room in a newly refurbished house. Bathroom is shared with 1 other person. It's a great house with lots of space. You will be sharing with 5 other professional tenants. This room is available now and is fully furnished with a wardrobe, new bed and chest of drawers. The rest of the house is modern & neutral throughout with gas central heating throughout. There is no living room. You will also have access to the large garden. Bills are included. Broadband provided. Cleaner is provided every 2 weeks. 2 minutes walk to bus stop for buses to Edgware station, Queensbury station, Borehamwood, and Watford. * Bathroom is shared with 1 other person.